Daycare vs. Preschool: Is One Better Than The Other? 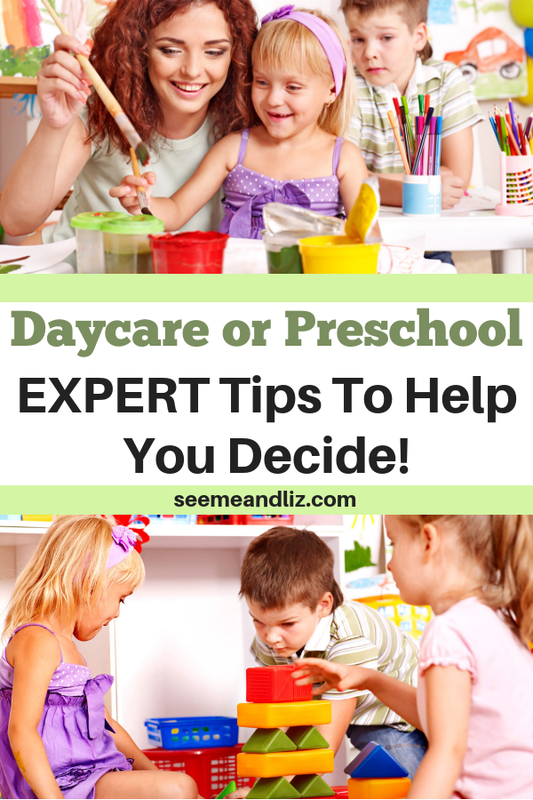 Seeme & Liz > Parenting Tips (0-2 year olds) > Daycare vs. Preschool: Is One Better Than The Other? 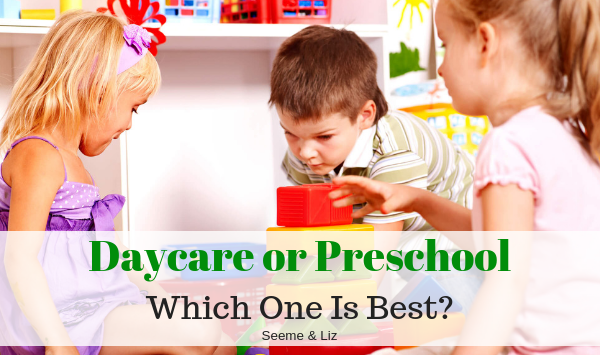 You may be asking yourself: daycare vs. preschool, which one will be best for my child? Unfortunately, there isn’t really one answer to this question. It will come down to why you are sending your child to either preschool or daycare. Most parents who are looking at daycare options are doing so out of necessity – most likely because they are working and need someone to watch their child. What is a Daycare Center? A daycare center is place where parents can drop their children off for an entire day. In North America, daycare centers are typically regulated and they need to follow certain rules/regulations. These regulations will very from state to state and province to province. Daycare centers can be privately owned or they can be run by non-profit organizations such as the YMCA. 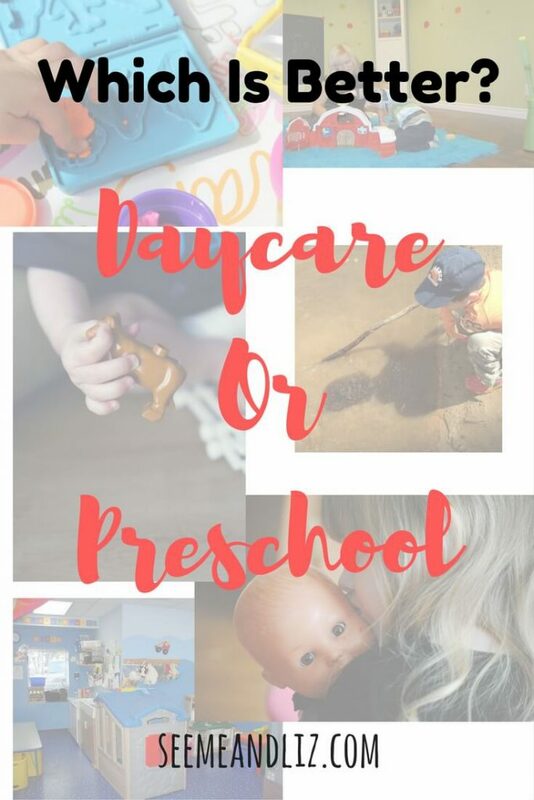 A daycare center is ideal for working parents because most typically have drop off times starting at 7am and pick up times up to 6pm (this is an average and will vary from center to center). Meals/snacks are typically provided by the daycare center and is covered in the daily cost. The cost to send your child to a daycare center will also vary depending on the type of center (private daycare centers tend to cost more than non-profit ones). Some daycare centers have subsidy programs for those who cannot afford the rates. Depending on where you live, daycare centers may receive government funding making them accessible to all families. For example, in the province of Quebec (Canada) daycare programs are subsidized by the government and the rates are all quite standard with little variation. Daycare centers typically accept children from as young as 6 weeks old until they go to school. Some daycare centers are attached to schools and offer before and after school care as well. An alternative to a traditional daycare center is a home based daycare (also known as home care or a day home). This type of daycare is like the name implies, a daycare run out of someone’s home. Not all home daycare programs are regulated, therefore anyone can open a home based daycare. The cost of a home based daycare program is often less that that of a center based daycare. A home based daycare typically has less children than a center based daycare. Many home based daycares will only have 4-6 children a day (this number can vary depending on the age of the children). There are many great home based daycare providers around (some of which are run by former early childhood educators), but make sure to take a tour first as your child will be in someone else’s home. Home based daycares also often will offer non-typical hours which is great for parents who work shifts! A preschool program is usually geared to children between the ages of 3 and 5. The time a child spends in a preschool classroom is usually only a few hours a day, not necessarily every day of the week. Preschool programs are typically licensed and run by early childhood educators. Preschools often follow school holidays and over Christmas, summer break, etc. whereas daycare centers often remain open as many parent’s are still required to work. Preschool programs typically focus on getting a child ready for school. They are often structured similarly to a Kindergarten class and include routine activities such as “circle time”. Preschool can be a more costly option, however, some preschools are co-operative. This means that while the fees are lower, parent involvement is higher. There are parent committees that parents need to join. A parent will volunteer anywhere from a few hours a month to a few hours a week in order to keep the cost of attending the preschool down. Daycare vs. Preschool: Which Option Is The Best? The answer to this really depends on what your needs are. If you are looking for child care because you work, then a center based daycare or a home based daycare is probably the best option. If you are not constrained to certain drop off and pick up times and are looking to get your child interacting with other children then both options can work. The term “Preschool” makes one think that this type of program will prepare your child for school. As a result, parents feel the need to look for programs that focus on academic skills such as reading and writing. Many preschools and daycare centers market themselves as being the best to prepare your child for school readiness by promoting activities such as “letter of the day”. I caution you to steer away from these programs and look for play based ones instead. More and more studies are showing that early language skills are a good indicator of academic success later on. Even the American Academy of Pediatrics is taking a stance on the importance of play during the preschool years! You can read more about that here. For example, if your child is 3 years old, it is more important that his language is developing appropriately rather than is his ability to recite the entire alphabet. Children learn language through play. Learning language is so much more than vocabulary and grammar. Learning language involves learning social skills, the ability to follow and give directions, asking and answering questions, using gestures, making appropriate eye contact, telling stories, etc. By becoming proficient in language skills a child is getting the foundation skills or building blocks that will lead to academic success later on. Daycare vs Preschool: Play Based Wins! Leave the academics until a child is in school. From a developmental standpoint, the majority of preschoolers are not ready to tackle academic tasks. Whether you choose to use a daycare center, a home based daycare or a preschool program, make sure that it is play based. For more information regarding why play based learning is better for a child’s future success read the article The New Preschool Is Crushing Kids. Always take a tour first with your child to make sure it is a good fit. Look at the toys they have? Do they allow for open ended learning? 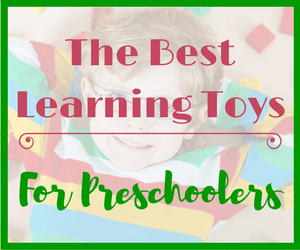 Some examples of open ended learning toys include blocks, play kitchens, play houses, water/sand tables, dolls, dramatic play centers, etc. Preschools and daycare centers that are theme based are also great! This means they focus on a different theme every few weeks. For example, underwater, farm, community helpers, space, etc. Theme based play allows children to categorize new words and ideas. This will help with overall language learning. 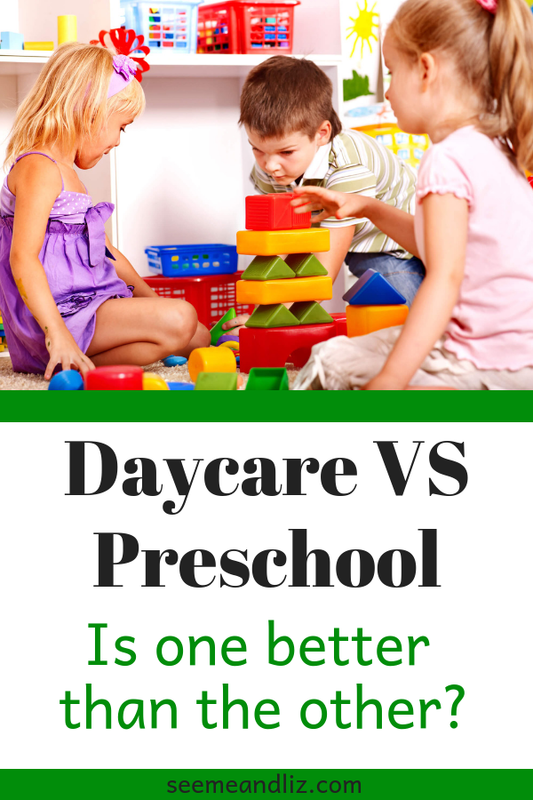 Bottom Line: Daycare vs Preschool – The Choice Is Yours! It really doesn’t matter if you choose to go the daycare route or the preschool route. As long as your child has the opportunity to play and learn new language skills it will be great for overall development. Remember that children have lots of time for academics, don’t push it during their early years. Both of my children went to a daycare center. My son started out at a home based daycare that was run by a former early childhood educator. It was amazing! However, they moved away so I switched him to the daycare center my daughter had attended. When I decided to send my daughter to daycare it was not out of necessity. I sent her because I wanted her to be around other children. She also had issues separating from me so I wanted to start having her be away from me for a few hours before she had to attend school. She was extremely shy. We toured several preschools, daycare centers and home daycares before choosing one. The one I felt offered the best play based program was actually a non-profit daycare run by the YMCA. I loved the fact that they were open to children with special needs (not all daycares are unfortunately) so that my daughter could interact with children from all kinds of backgrounds. It was a great experience for both of us! 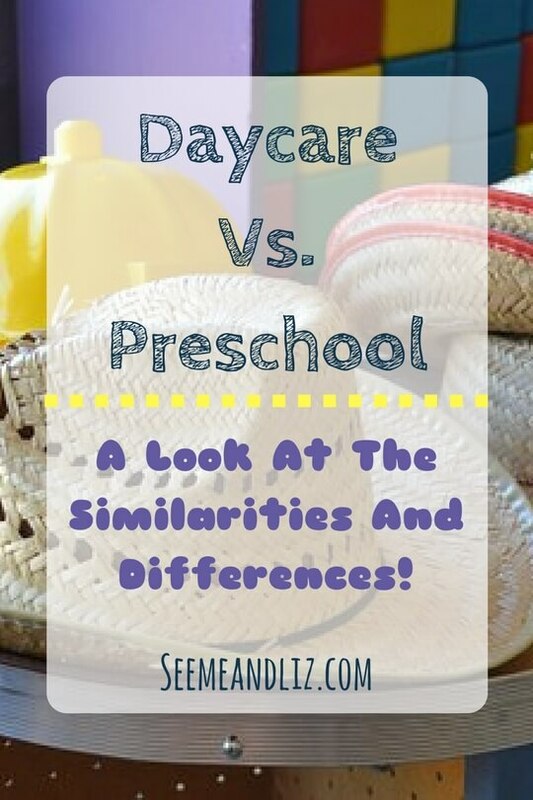 What are your thoughts on daycare vs preschool? Do you feel one is better than the other? Wonderful article on day cares and pre schools, which one is really better? I believe that up until the child reaches the age of 3 that a day care is the best place for them to be learning social skills by playing with other children. At the age of 4 then I think possibly you should look at how the child is maturing and doing in the day care skills. If they have mastered those skills then pre school would be an option but only teaching them academics for a limited time each day to prepair them for school. I do believe that, as you said, no matter what option one chooses, play should be the focus of the majority of the day. Thanks for your comment Susan! I’m also not opposed to introducing some ‘academic skills’ to a 4 or 5 year old as long as they are interested and it’s done in a playful way. So no handouts or flashcards! Hi! Enjoyed your article on daycare vs pre-school. I have some questions. How old do you think children need to be to start learning morals and ethics? I feel this is important in the society we live in today. Do children need to be taught how to respect others for example? There are so many different avenues that could be used. It is fine for children to “play” , but how old do you think they need to be for some type of guidance and training in morals which can set the foundation for a lifetime of a civilized society. Children learn all about different morals and ethics while they play! That is why play is such an important part of a young child’s development. These types of things can also be taught at home by parents. Unfortunately these are not skills that can be taught. Morals and ethics come from within and need to be modeled by those around them. Children are like sponges. They absorb everything the see and hear going on around them. When children are playing, they are often mimicking what they have seen and heard adults doing and saying. A perfect example of this is when children play “house”. The roles are often assigned based on the roles children are familiar with in their everyday lives. My daughter is around the age where I think it’s a good idea to put her in social situations with other kids. I wondered if I should find a daycare center or a preschool program. I like that the primary focus of a preschool is to get young children ready for school. I think it is a great idea for preschool aged children (3-5 year olds) to be in small groups with other children. However, do not choose a preschool because it is academic and claims to teach your young child early academic skills. This is not an indicator of future school success. Rather look for a preschool that is play based. This is where your child will learn very important skills for school readiness. 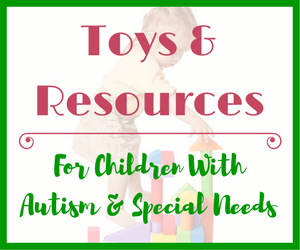 Some of the skills that can be learned through play include problem solving, social skills including turn taking, self-regulation, risk assessment, fine and gross motor skills, vocabulary and many more! Hi Tanya, thanks for your insightful post. 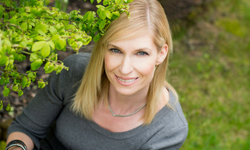 I have been working as a home-based Educator in New Zealand for eight years. I strongly agree with choosing a play based Centre for your child. Everything children do in their play leads to learning experiences e.g. reading a book increases their vocabulary, counting, singing nursery rhymes, etc. My daycare children love water play and sand. So for us, the beach is the best playground. I also would like to add that it is also vital to build a close relationship with each child. That way they feel secure, confident, develop much needed social skills and a sense of belonging. So I personally would recommend home-based care for children because of the smaller groups. The Educator is also able to provide one on one time with each child in her care. Thanks for taking the time to read some of the articles on my site and leave some comments. In North America there is no regulation of home based educators. Anyone can set up shop. Thus there are some not so nice home based daycares. My son went to a home based day care when he was young for about a year. I went around and interviewed many providers before choosing the one. Some of these providers are early child hood educators who have decided to start a business out of their home, but most are not. No matter where a child goes daycare, preschool or home care, a parent should make sure that children have ample opportunity to play and that not all of the play is structured or adult led. Thanks for your comment. Hopefully you will be able to stay at home with your child(ren) even if you could go back to work part time. Daycare centers tend to offer the most flexibility for working parents. There are many great daycare centers out there. As I mentioned in the article, make sure you and your child visit a few of them and stay for an hour or so to see what kind of activities there are. If your child is “busy” and likes to be on the go you will really want to make sure you find a play based center that “follows the child’s lead” and doesn’t focus on sitting and learning. Good luck when the time comes! Preschool is great for those who have caregivers to look after the child. It really depends on the needs of the parents. For me, I’m looking for a daycare center for my son as I’m planning to return to the workforce. I wish that there are work places in Singapore that also provide childcare. That would be ideal. Yes, you are correct, preschool is really only an option for those that do not require full time childcare. However, daycare centers do vary so it is still important to choose one that focuses on play based and experiential learning as opposed to early academic skills. Where I am only very large companies provide childcare on site. But even for large companies, this is not the norm. I like what this article mentions about day care being better than preschool for some people, while others might prefer preschool. I want to have my child in a child development center, but I’m not sure if we should focus more on education or an entertaining place until my wife and I get home. I do think education could provide some benefits, but I’ll have to talk to my wife to see what she thinks. Thanks for sharing Tanya! I hope that this article demonstrated why focusing on education to early in a child’s life isn’t always a good thing. The best education a child under the age of 3 (even 4) could get is through play. It is ok to talk about numbers and letters, but it should be done naturally. For example, if a child is playing with cars, you could count the cars to see how many there are. You could also talk about the color of the car, label its parts, etc. While this may not seem educational in an explicit sense, a child will learn more from this than from doing a lesson on colors and then one on counting to 10. I hope this makes sense. It is refreshing to see an opinion to leave the academics until school age. I feel like there is this big hurry (or race) to get our toddlers familiar with letters/numbers/reading/etc. Especially when Showoff Susan tells the entire play group that her little darling was reading at 4 weeks old… It’s gotten to be crazy. With both my boys we have never pushed letters or learn but take more the approach you outlined. We do art and crafts and puzzles, etc to learn. We read books and a lot of them. My oldest went to both preschool and a day care at different times and I liked them both. I love your article and agree with everything you said! Thanks for stopping by again! There are so many studies coming out showing that a push for earl academics may actually be doing more harm than good. You might be interested in this article. It is very thorough. http://www.theatlantic.com/magazine/archive/2016/01/the-new-preschool-is-crushing-kids/419139/. It is fine to teach skills such as counting, rhyming, letter recognition, etc. But it should be done in a natural and child led way. My daughter and her grandpa would count stairs every time they walked up and down them when she was about two. She loved this activity! Children learn through experience and hands on learning! All three of my children have gone to daycare and I am a huge advocate for daycares!! We live in Texas and most daycares here provide early education as well for children similar to that of a preschool!! Daycare not only provides a way for both parents to work, but also allows your children child to child interaction which is crucial in child development!!! 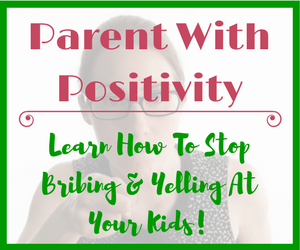 It teaches your child discipline from adults other than parents too!!! These things are critical for that first day of kindergarten and those children that did go to daycare tend to have an easier transition to the curriculum of school!! Thanks for the article again!!! Great read!! I am glad you enjoyed the article. I think that there are great daycare centers and not so great ones. The same can be said about preschool. I am happy to hear that you had a good daycare experience for your children. For me it really doesn’t matter where you send your child. However, I personally believe that play based learning is essential before a child attends school. Where I live, we have junior kindergarten (for 4 year olds) and senior kindergarten (5 year olds). They actually just switched to a play based curriculum for these students. I was so happy to hear that! Academics can wait until a child is in grade one. The key is to build the foundation skills required for learning later on; and these skills are developed and strenghtened through play! Congrats on your new baby and thanks for taking a look around my site! There is so much information floating around on the internet that its almost to a point where the art of parenting could be a University/College course. I have 2 kids, a son and a daughter. My son is 6 and my daughter is 8. I believe that children learn best through play. There is plenty of time for a child to learn about technology and academic skills. I started this site to show parents the importance of play in particular with relation to language development. 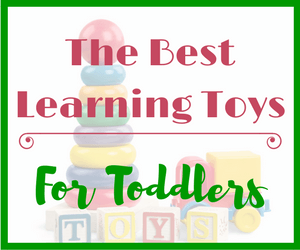 The toys I recommend are great learning toys and offer hours of open ended play! 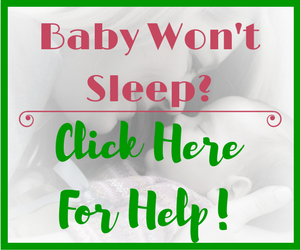 You might like these articles as you have a new baby. What is the best baby activity gym for your child’s development? and What is the best baby activity gym for your child’s development? Great looking website! Quick question about english speaking kids with one parent that speaks a foreign language. I speak English in our family and my wife speaks Slovak. Over the years our kids can now speak fluently in both English and Slovak. My question is this, is there any evidence that when a child has one parent speaking a foreign language will they struggle with written English later on in life? Thanks for taking a look around the site. I am happy that you have found it informative. I hope you enjoyed the article about Daycare vs. Preschool. As for your question regarding a child struggling with written English if they are exposed to 2 languages, the answer is no. There is no reason why your child should struggle with written English later on in life. Your child may have one language that is stronger than the other (which ever language he/she uses more) but other than that there should not be any issues. I grew up speaking German and English. Until I went to school my German was better than my English. However, once I started going to school everyday and only spoke German at home my English got better. As I got older I spoke English more and more. Now I struggle with German. I can still speak it but you can tell it is no longer my first language. I was not aware of the difference between a daycare and pre-school. I do not have kids yet and maybe not for another 5 years after I’ve graduated. lol. But this is all good information, I personally would go with pre-school just because I want him or her to love school. 🙂 Thanks for this post! Thanks for taking the time to read this article despite not having any kids yet. It really is up to the parent to decide if daycare or preschool is the right option. As long as you try to find a program that focuses on play based learning and one that has some structure it doesn’t matter which one you go with.